The Dunlop Super Xiphos are JDM Wheels that really were not as popular as many others, but definitely had a really cool look to them. The Dunlop Super Xiphos are 3 piece wheels which feature a classic 5 spoke star design with exposed bolts on mounted on top of the lip. Rounded edges of the spoke give the Super Xiphos a unique look from other popular 5 spoke wheels of the time. 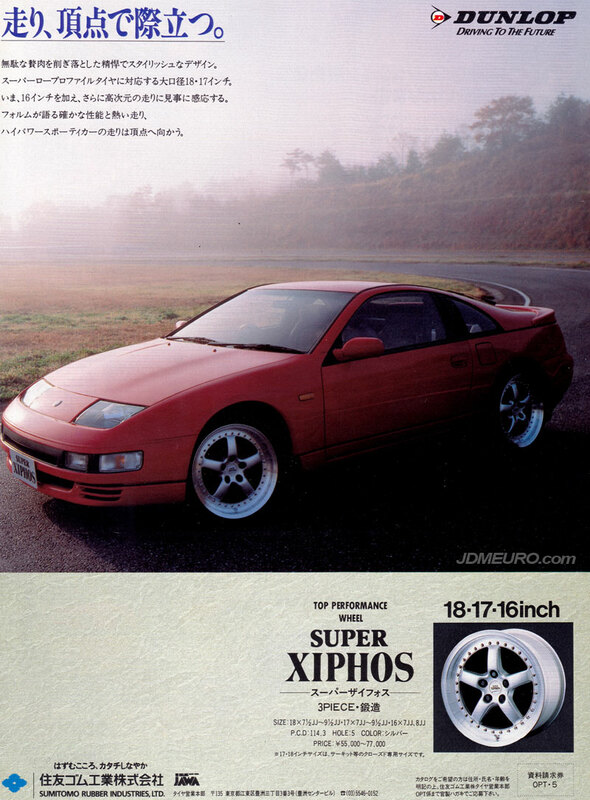 Pictured in the ad are the Super Xiphos mounted to a Nissan Fairlady Z 300ZX Z32 series.